Ting has a different approach to wireless service compared to other mobile carriers. Instead of charging a set amount each month for a “plan” there are simply tiered rates for different services. Ting charges you for what you actually use in three separate categories: minutes, texts, and data – everything else is free. Have you already read the review and are back for the $25 Ting credit? If so, use the button below to get $25 off a new Ting phone or credit to your account. Use it immediately prior to purchasing or activating your first phone or SIM card on Ting to lock in the credit. Ting offers an excellent alternative to other wireless carriers with outstanding customer service, transparent pricing, and good coverage across two different nationwide networks. Ting is a mobile virtual network operator (MVNO). That means that they pay the big nationwide carriers for access to their cell towers and mobile infrastructure while Ting provides their own unique features, billing, and customer service. 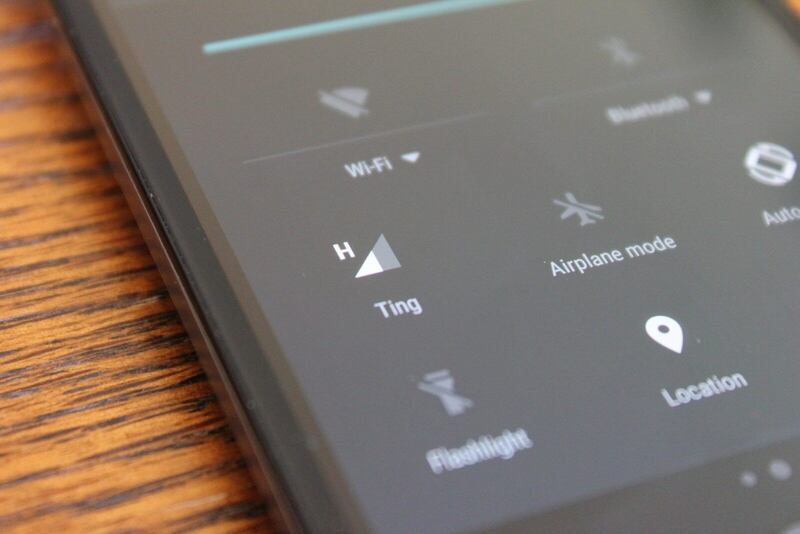 Ting uses two of the major network providers: T-Mobile and Sprint. Because they are purchasing service at less expensive wholesale prices they are able to pass those savings on to their customers. Ting does not have physical stores – everything is done online or over the phone. If Ting is using T-Mobile’s and Sprint’s cellular towers, what is the advantage of using Ting over T-Mobile or Sprint? The biggest differentiator that Ting only charges you for the minutes, texts, and data that you actually use rather than a set cost. The second is customer service, as Ting provides far superior customer service than their competitors. At the end of 2017 Consumer Reports published their annual U.S. cell phone carrier ratings and ranked Ting third overall, just one point below the first place winner, Consumer Cellular, and tied with Project Fi in the second spot. All the highest scoring carriers were MVNOs. If you are reading this because you are frustrated with one of large U.S. carriers, you are not alone as the lowest scoring providers were the big four carriers: Sprint, AT&T, T-Mobile, and Verizon. The two most important factors to consider in choosing a wireless provider are value and coverage. The two most important factors to consider in choosing a wireless provider are value and coverage. Consequently, before reading the rest of our review you should determine if Ting offers good value for your specific needs and has good coverage in your area. Value: Is Ting Worth it for You? Ting will most likely save you money unless you need to use a lot of data. Grab your last couple of mobile phone bills and head over to the savings calculator to see your projected bill. It uses your current usage in minutes, texts, and data to estimate your monthly bill. If you use a lot of data Ting can get pretty expensive. Although we think there are ways to reduce data usage for most people, for some that isn’t possible. 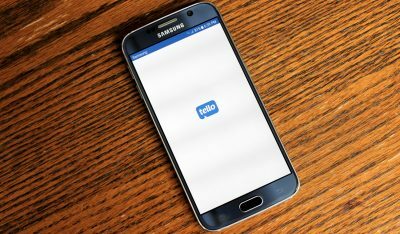 If you are one of those people, please check out our review of Tello Mobile as they provide up to 10GB of data for just $39/month. Before signing up and many times since then, we have compared Ting to the other no-contract providers such as T-mobile’s no-contract service, Republic Wireless, Straight Talk, Cricket Wireless, Consumer Cellular, Page Plus, AT&T’s GoPhone, Boost, and Virgin mobile. Besides Ting, they all have a few things in common – you either had to sign up for a very low allowance plan, they do not have good selection of smartphones, their phones are locked to their network, or you had to spend at least $40-50 per line per month for an “unlimited” plan that isn’t actually unlimited. After running all the numbers, for us, Ting was the best value. Everyone has a unique situation, but on average our bills are half of what they were on our previous mobile provider. Since we started using Ting our average cost per line has been about $20 per month overall. On average our bills are half of what they were on our previous mobile provider. We switched to Ting at the beginning of 2013. As each year passes we want to make sure that Ting’s mobile services is still competitive. Does Ting still make sense in 2019? After all, there have been some significant changes in the telecom industry recently. T-mobile has rebranded itself as an “un-carrier,” doing away with contracts and lowering prices. Sprint, AT&T, and Verizon now all have the option of unsubsidized plans that are less expensive than their subsidized counterparts. So, we decided to see what the cheapest (unsubsidized) plans available from T-mobile, Sprint, AT&T, and Verizon would have cost for our last six months of usage compared that to what we were actually charged by Ting. We used the Wall Street Journal calculator in addition to the carriers’ websites to determine the projected costs. Since we chose the cheapest plans that fit our actual usage for each month, we probably underestimated the cost. This would be the real-world equivalent of switching your plan every month. We are still saving a lot of money on Ting, and can continue to strongly recommend their mobile service. T-mobile’s new lower priced plans come the closest, but Ting was still consistently less expensive than all the other carriers. Compared to AT&T and Verizon, Ting was often about half the cost or even less. After reviewing this new data, we are confident that we are still saving a lot of money on Ting, and can continue to strongly recommend their mobile service. Why is Ting so Inexpensive? You may be wondering, “why is Ting so cheap?” Is there something lacking in Ting’s service compared to Sprint and T-Mobile? From our experience there is nothing to complain about. Ting answered the “How is your service so cheap” question in a blog post that is an interesting read if you have time, but the bottom line is that Ting isn’t that “cheap.” You pay for what you use, Ting earns a healthy margin, and that is it. The reason Ting seems inexpensive is because the wireless industry as a whole in the U.S. is very expensive. Prices are inflated and almost every carrier makes you buy far more usage (minutes, texts, data) through their plans than you will ever use. What first attracted us to Ting is that they charge you according to your actual usage without any contract. At the end of the billing cycle Ting will charge you according to your usage in the tiers listed below in 3 separate categories: minutes, texts, and data. There are no plans or overages – you just pay for what you use. 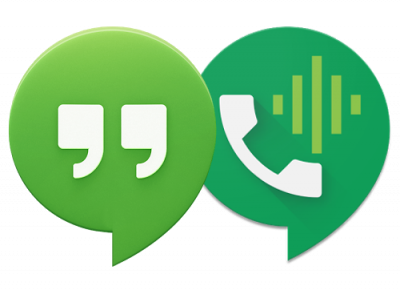 Also, knowing that we can save money by limiting our usage helps us be more aware of our usage and more likely to do things like connect to Wi-Fi when it is available or use Google Voice and Hangouts if we need to make an extended call. Those things help us limit our costs and are easy to do. Here is a table of the rates Ting offers. Each month you start out at XS (zero minutes, texts, and data) and the plan will adapt automatically according to your usage. Each line costs $6 per month to continue service. In the example below using up to 500 minutes, 1000 texts, and 500 megabytes of data on one phone would cost $30 per month plus tax. In the U.S. there are two different kinds of wireless carriers: those that use GSM technology and those that use CDMA. Ting has access to both types of networks so you can choose whichever is best for your needs. If you have no idea what GSM and CDMA are, don’t worry, it doesn’t really matter for most people – just choose the network that provides the best coverage in your area. If you are interested in learning more about GSM and CDMA we wrote an article explaining the technologies and their main differences in plain English. Some of the important differences are shown in the table below. 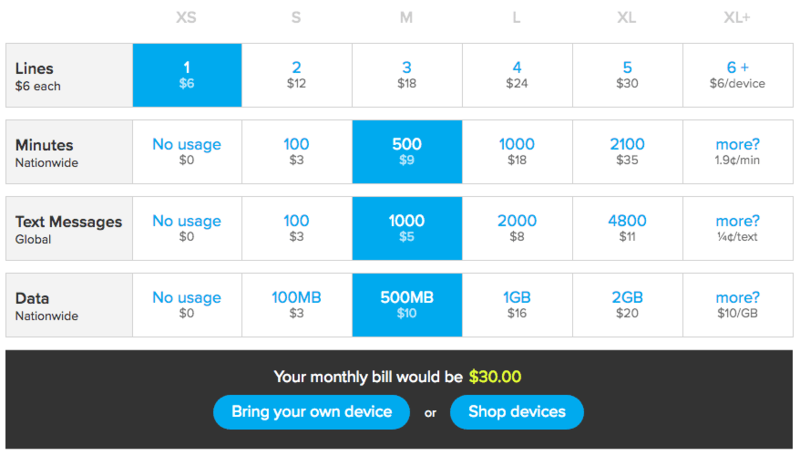 Cost: Ting service costs the same whether you’re using a GSM or CDMA phone. * A quick note regarding roaming: GSM roaming only occurs in designated partner areas while CDMA roaming should be available anywhere in Verizon’s service area. Although the table above is a good representation of nationwide coverage and network speed, it is best to check Ting’s local coverage maps for both GSM and CDMA in your area to see which provides the best coverage. You must choose either GSM or CDMA service as both cannot be in service at the same time on the same phone number. 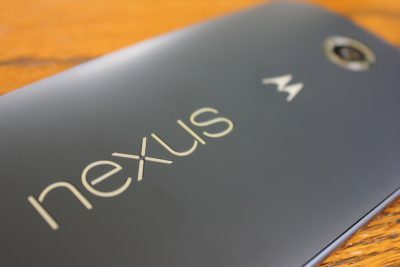 If you want to be able to switch networks automatically and use a Nexus or Pixel Android phone, check out Google’s Project Fi network. Ting’s GSM coverage is identical to T-mobile’s in-network coverage. What does this mean? If you are already on T-mobile and have good coverage, switching to Ting GSM should make no difference. Roaming is free and occurs primarily on AT&T for voice and texts. There is no data access while roaming. Overall, if you are in a city or major metropolitan area you are likely to have good coverage. Those in rural areas should check coverage as it can be spotty to non-existent. One of the major benefits of Ting’s GSM coverage over their CDMA offering is that data speeds are significantly faster on GSM. In our testing it is fairly common to see speeds that are 2-3x faster on Ting GSM. This should be similar nationwide as places that have T-mobile LTE coverage are consistently faster than Sprint. We have tested Ting’s GSM network since its inception in early 2015 and recommend it over CDMA unless you frequent areas with inadequate GSM coverage. Our GSM recommendation comes down to the higher data speeds, better device selection, and ease of switching phones on the GSM network. Ting CDMA uses Sprint’s wireless network to provide service that includes a voice and text roaming deal with Verizon and U.S. Cellular. That means that if you already have Sprint and are satisfied with the coverage in your area, switching to Ting should make no difference. Sprint consistently ranks last in network speed nationwide. If you plan to use a smartphone and having a fast data connection is important to you, then you are going to want make sure your area has 4G LTE as Sprint’s 3G speeds can be very slow. The Ting dashboard and subsequent bill are very intuitive and easy to use. Watch the video below to get a quick idea of what the dashboard is all about. The dashboard makes it easy to keep track of your usage throughout each month. Ting also offers dashboard apps for both Android and iOS to track your usage and change settings directly from your phone. There are Apple iPhones and Android phones that are compatible with both GSM and CDMA networks, but for most people it is best to choose a network prior to buying a new phone. Ting offers some very nice high-end phones like the iPhone X, iPhone 8, Samsung Galaxy S8, as well as some budget options like the Moto G5. It is best to buy directly from the Ting shop to ensure compatibility for CDMA phones. This is where Ting GSM really pulls away from the competition. The number of devices you can use on GSM is massive compared to the relatively small number that Sprint allows Ting to use for CDMA. With a GSM phone your SIM card is activated and you can take it out of your current phone and put it in another compatible device – no messing with switching it online or calling customer service – it will just work. There are some minor restrictions in that the GSM phone must support the frequencies or bands that Ting uses. Finding a compatible phone is not difficult: simply make sure it supports bands 2 (1900MHz), 4 (1700/2100 MHz), and 12 (700 MHz) by looking at the “specifications” for the phone you are researching. If it is a T-Mobile branded phone it will be compatible. Band 12 is important as it provides better coverage inside buildings and in rural areas. Ting sells a universal GSM SIM card that can be activated and used in any compatible phone or tablet. If you are bringing your own GSM device, the SIM card is all you really need. You can save a few dollars on shipping if you purchase them from Amazon instead of directly from Ting. When we signed up for Ting we read about their “no hold” phone policy, but we were skeptical to say the least. However, in the process of signing up we had a question, so we called their main phone number and to our surprise and delight an actual human answered almost immediately! No automated system to navigate whatsoever and no holding. Since then we have called many times and everyone we have spoken to was knowledgeable and were able to answer our questions and resolve any issues efficiently. If you would prefer not to call Ting support, you can also reach them through email or online chat. Ting customer service is the best customer service we have ever experienced. It is not an exaggeration to say that Ting customer service is the best customer service we have ever experienced. We say that not just because many other mobile providers’ customer service is abysmal, but because Ting will do everything in their power to fix your issue and make things right if a mistake or error has occurred. If you cannot decide which phone to buy, Ting offers a service that will help you find a phone that is compatible with its network by asking you a few questions about what kind of phone you want. There is no “unlimited plan”, so Ting won’t be the best for people who need a large amount of minutes, texts, and data. High data usage can get expensive quickly with up to 2GB costing $20. Every gigabyte over 2GB costs an additional $10 per gigabyte. Phones are not subsidized so they can be expensive. However, Ting offers 3rd party financing through Affirm if you would prefer to make monthly payments. In regions where T-Mobile or Sprint do not provide good coverage but Verizon or AT&T do, Ting will not be your best choice. As an incentive to switch, Ting offers a credit equal to 25% of any early termination fees (ETFs) you paid in order to switch from another carrier. Ting has a referral program where the person you refer gets a $25 credit towards service or a new phone. You also receive a $25 service credit for each person you refer to Ting. If this post helped you decide to switch to Ting please use our referral link before you buy your first SIM card or phone from Ting or activate a device you already own. Please share this article if you found our Ting review helpful. If you have any questions, please ask them in the comments section. Thanks for reading! Description: Ting's mobile service gets high marks on almost every category, including outstanding customer service. Ting offers an excellent alternative to other wireless carriers with transparent pricing and good coverage across two different nationwide networks. Rating: 8.6 out of 10.